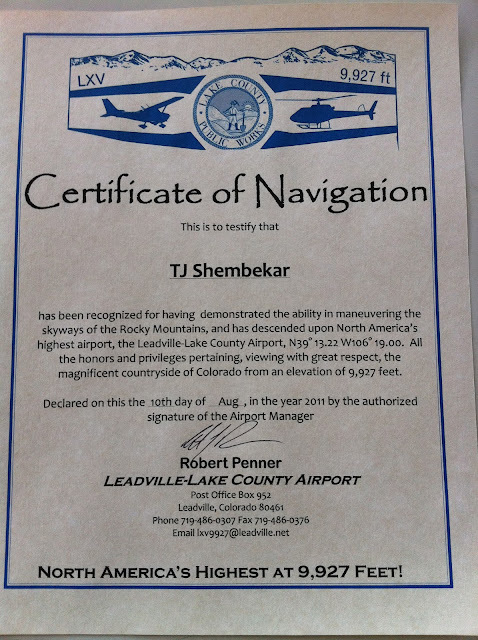 This week was another long x-country that got me thinking about the "art of flying IFR". The route is shown below. The map is not zoomed in enough to tell... 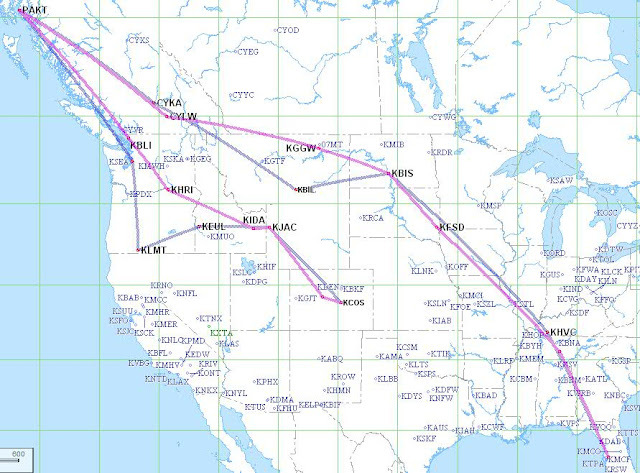 But this routes goes through LOTS of special use airspace along the way, including military operating areas, restricted areas, the dreaded Washington DC SFRA, and perhaps worst of all, the very congested New York airspace. Since getting my instrument ticket, approximately 75% of my flying is in the IFR system ; another 20% with some type of VFR ATC services and the rest is just random joyrides. However, what I learned during my instrument training was focused on the mechanics and legalities. 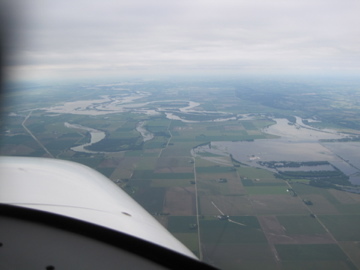 It didn't cover the nuances of using the IFR system well. Today's flight was a perfect example of these nuances. 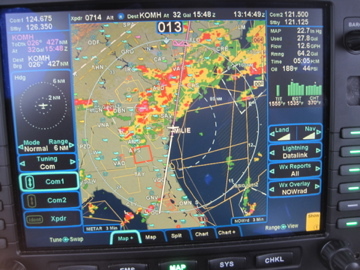 When I left Tampa, the weather was perfect (winds calm, clear below 12000). 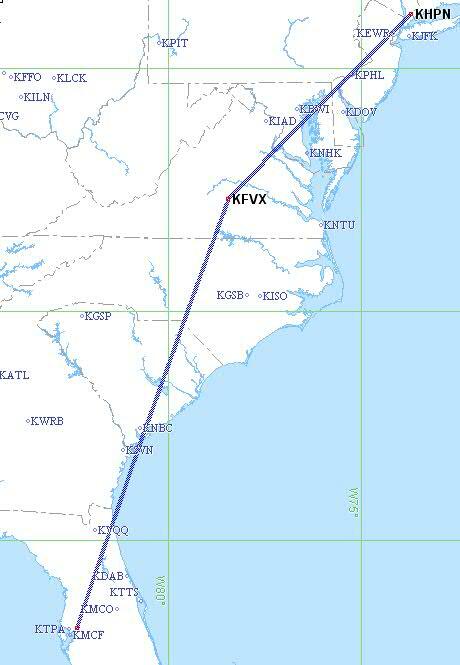 The first leg was heading to Farmville, VA, where the weather was also looking good. But in between, most of South Carolina had lots of ugly weather. So I knew I would need IFR... But not right away. Instead of filing from Tampa to Farmville, I filed from Ocala to Orange County, VA with a departure time of ~ 30 minutes after my real departure time. I took off VFR from Tampa and headed northbound direct to my destination at a leisurely 400 fpm climb. According to the R9 FMS, that would keep me under the Tampa class B. After passing the class B, I increased the climb rate to ~ 900 fpm and called Jacksonville Approach to pick up my IFR. This little trick avoided the usual eastbound, step climb that Tampa usually assigns when getting clearance from the ground. After leveling off at 17000 FT, I was listening intently for other aircraft heading northbound to try visualize the deviations they were making. 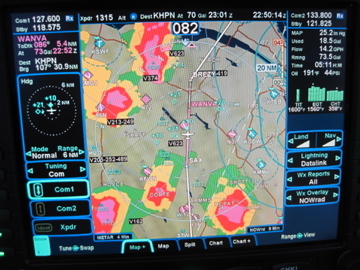 As I approached the weather in south Carolina, I couldn't see any "good" route on the R9. As you can see below, it simply looked daunting, including 2 convective sigmets and lots of "red". Since the frequency was not busy, I called Jax center and openly asked for "help" navigating the weather. The controller was fantastic! In response, he offered me pireps of other aircraft that just flew through this weather and offered a routing that was smooth IMC 10 minutes prior. While this is no guarantee, it is truly the safest, best advice you can get. I happily accepted the amended clearance and had an uneventful crossing directly through the weather that was painted on my screen. After a quick fuel stop, I departed for New York but realized that I had forgotten to return a couple of important phone calls. While inside the Washington DC SFRA, I called Potomac Approach and asked to divert to Frederick, MD. As usual, the controller was very cooperative and quickly gave me the vectors that I needed. After another quick stop and a couple of calls, I departed for White Plains. This time I got multiple reroutes from NY Approach. At first I couldn't understand why. Then the map cleared it up for me. ATC was rerouting me (and a bunch of other planes) around some storm cells! They did this even before I asked!! So my conclusion about IFR, is that what your Instructor teaches you will keep you legal. But to really keep yourself safe and get better at this craft, you need to focus more on the nuances of the art of flying and make optimal use of ATC by openly asking for the help you need and being flexible on what you get! 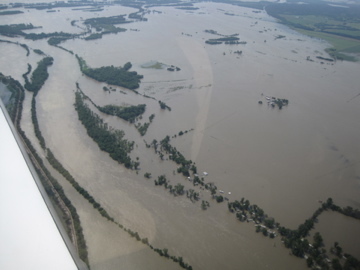 It has been quite a while since my last Angel Flight. Over the past month, I checked the AF website each week for a suitable mission that would fit into my schedule. Nothing came even close. But this week I found one that worked! It was sort of "on the way". I was in Tennessee on business and I was heading home to Tampa. The mission was to transport a cancer patient who lived near Knoxville to the Mayo Clinic in Jacksonville for treatment. You can see the route home on the left. The patient was a young lady named Kristin, who was fighting a rare form of cancer called carcinoid cancer. She needed some very specialized care that is only available in a few places in the country. After a brief introduction and preflight on the ground, we took off from Knoxville Airport into some beautiful weather. Knoxville has mountains directly to the southeast. While the mountains are not very big, they are certainly enough to affect your flight path. 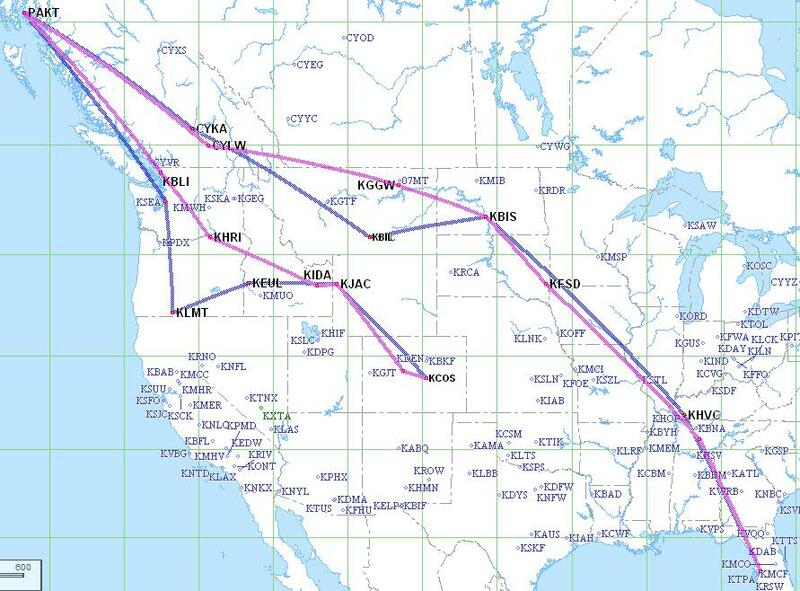 As a result, ATC cleared us for an initial climb heading southwest. After we got to our cruising altitude of 11000 FT, we were cleared direct to our destination. The altitude was just perfect. There were occasional clouds below us and around us. But we had a smooth ride and some great views along the way. While Kristin has taken Angel flights before, this was her first time sitting in the copilot seat. As you can see from the picture below, she was "drinking in the scenery". 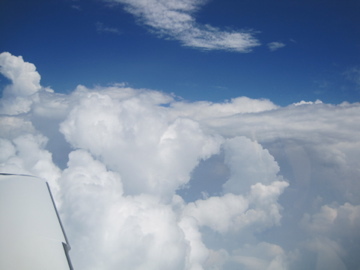 On a couple of occasions, we flew through some very light clouds, which she seemed to particularly enjoy. After a "quick turn" @ Sky Harbor Aviation, the last 150NM leg was a fairly straight shot (except for those pesky military airspaces that I had to fly around). Overall, it was a very smooth trip and really "on my way home"! Hopefully, I can find more missions that are "on the way" soon!